Attraction Length: 5 minutes per round. 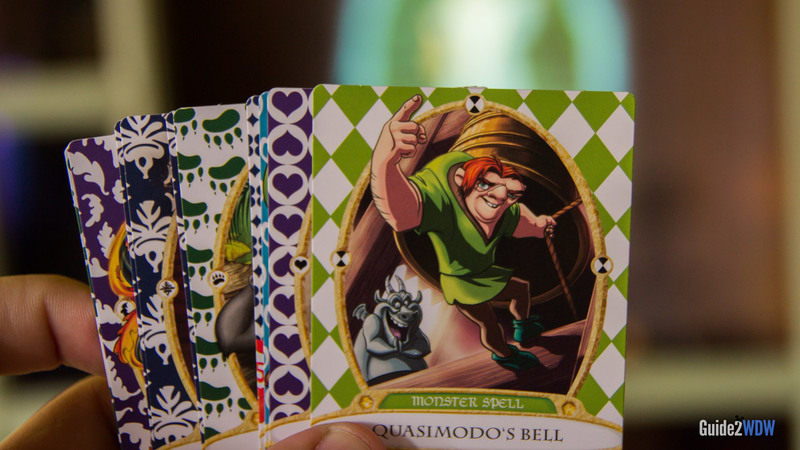 Battle against Disney's evilest villains in this interactive card collecting adventure! 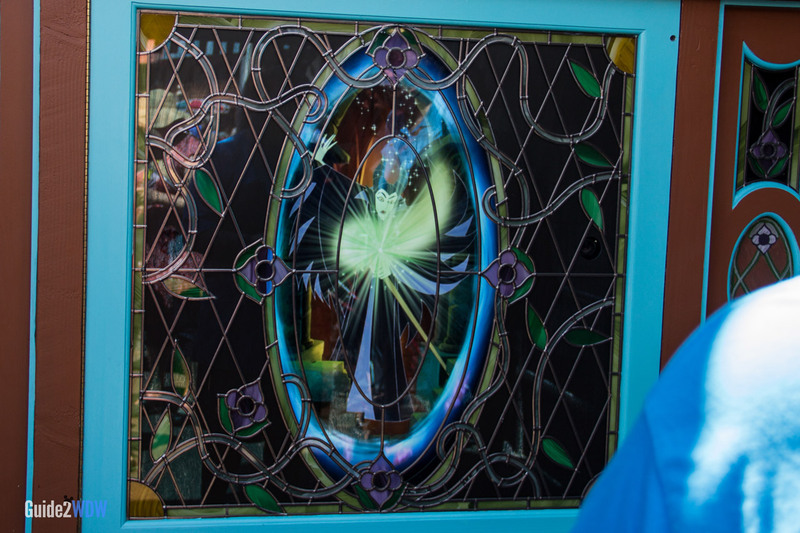 Hades is trying to take over the Magic Kingdom by stealing the Crystal of the Magic Kingdom, and Merlin is depending on you to stop Hades and his cast of Disney Villains. Start your adventure by going to the Firehouse in Main Street (next to City Hall) or behind the Christmas shop in Liberty Square. Here, you will receive everything you need to play the game: a pack of spell cards, a key card, and a special map of the Magic Kingdom. You’ll receive a brief tutorial showing you how to play the game. It’s as simple as finding the portal you need to go to (using the map will help you find this), placing your key card against a lock near the portal to activate it, and battling against villains by casting your spell cards. All you need to do to cast a spell card is to hold it up facing the portal. Be sure to keep it still, as the game will have a hard time recognizing which spell you are casting if you are waving your card around. Each game consists of 9 rounds, where you are battling against villains ranging from Jafar to Ursula. 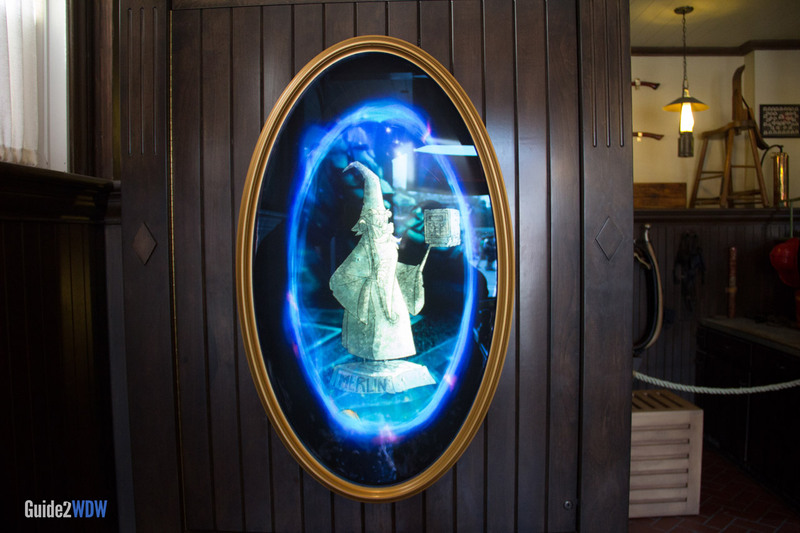 Each battle with a villain will send you to 4-5 different portals within a land, and each battle tells a different story complete with custom animation made for Sorcerers of the Magic Kingdom. For example, you will battle Scar by going to 4 or 5 different stops throughout Adventureland. The game will keep directing you on which portal to go to next. Once you have vanquished the villain, the game will point you to where to go next to fight the next villain. Each game will start on easy mode, but once you have beaten all 9 villains, your next play through will be on medium. Once you beat medium, it will turn on hard mode. While the game is very simple and approachable for even the youngest kids on easy, hard mode requires some amount of strategy to play effectively. In the past, Disney has turned off hard mode during busy seasons to help alleviate wait times. If you want your party to stay together, you can attach multiple tickets to a single game. Or if you want to split up, each ticketed guest can play their own Sorcerers of the Magic Kingdom game. Each day, every ticketed guest is entitled to a booster pack of 5 cards for free. That’s right, free! 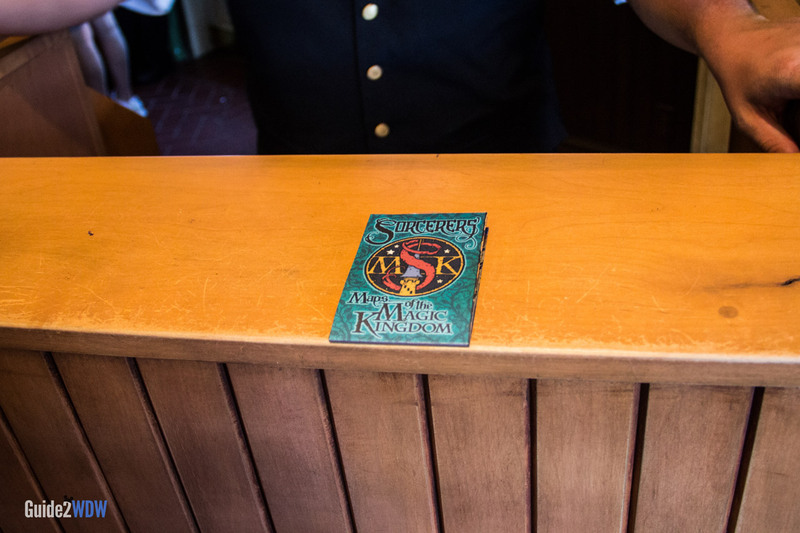 Just go to the Sorcerers of the Magic Kingdom locations in Main Street or Liberty Square (where you can start playing the game) to get your new cards. You are also entitled to a new pack of cards once you have beaten all 9 villains (so it’s possible to get more than one pack of cards within a day). Remember, everybody with a ticket attached to that game will get a new pack of cards if you beat it. All this can seem slightly complicated, but it’s really simple and a lot of fun. Collecting a full set of cards became a fun side-activity on our last few trips to Walt Disney World. If you’re looking for a fun way to explore the park and get some neat (and free) collectibles, be sure to try this game out. It is possible to cast multiple spells at one time. Just hold up two to three cards when you cast your spell. Sometimes this can be a little finicky (the game might only read one of the cards), but it works more often than not. If you’re tired of carrying dozens of cards with you, there’s an easy solution to your problem. You can carry around your card collection digitally! Just take pictures of your cards with your smartphone, and display them on your screen when you play the game. I’ve made a Sorcerers of the Magic Kingdom album on my iPhone with pictures of my SotMK cards in it. I just pick which card I want to cast and hold it up like I was casting a card. It totally works! It’s still useful to carry around some physical cards for casting multiple spells and casting with the back of the card, but this is a great way to reduce the amount of things you have to carry throughout the day. Trying to collect a complete set? Don’t be afraid to ask other players for a trade. Many of the other players will be absolutely friendly about it. If you’re looking for a fair trade, pay attention to the symbols on your cards. Planets are the most common, moons are uncommon, and stars are rare. Lightning bolts are super rare, and are only available by purchasing the booster packs. Cards with a sun on them are part of a special event or promotion (i.e. the cards they give away at Mickey’s Not So Scary Halloween Party), and are also very rare. To put it simply: Trading for cards that have the same symbol (i.e. moon for a moon, star for a star, etc) is a good guide to making a fair trade. 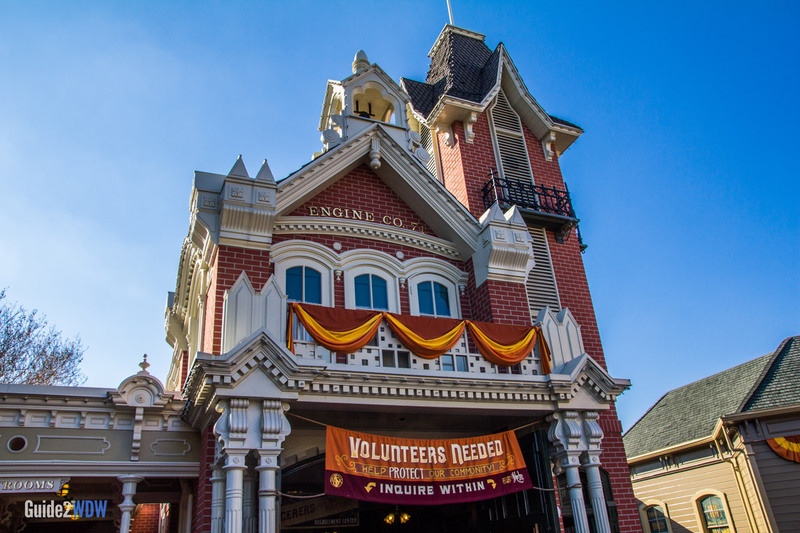 You can start your adventure or get new cards at the Firehouse on Main Street or by the Christmas Shop in Liberty Square. 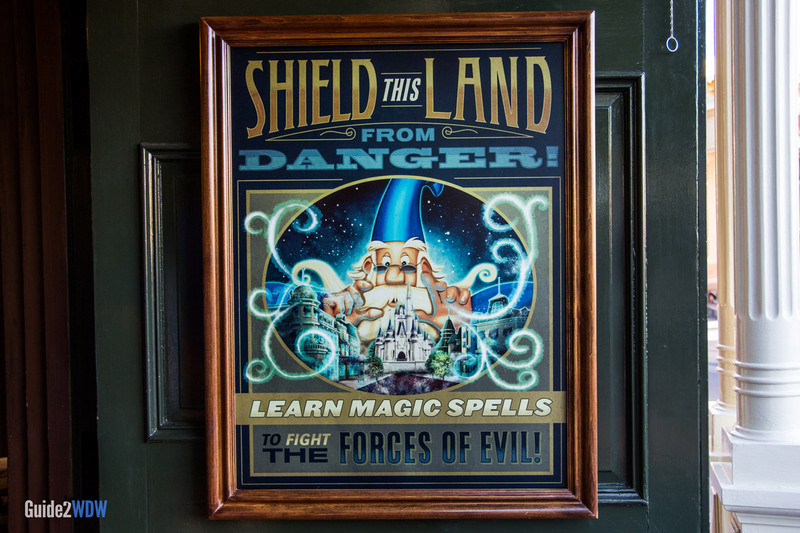 Merlin is recruiting Disney World guests to fight the forces of evil! You will receive this map, which is a beautifully rendered interpretation of the Magic Kingdom. When playing, look out for these keyholes. 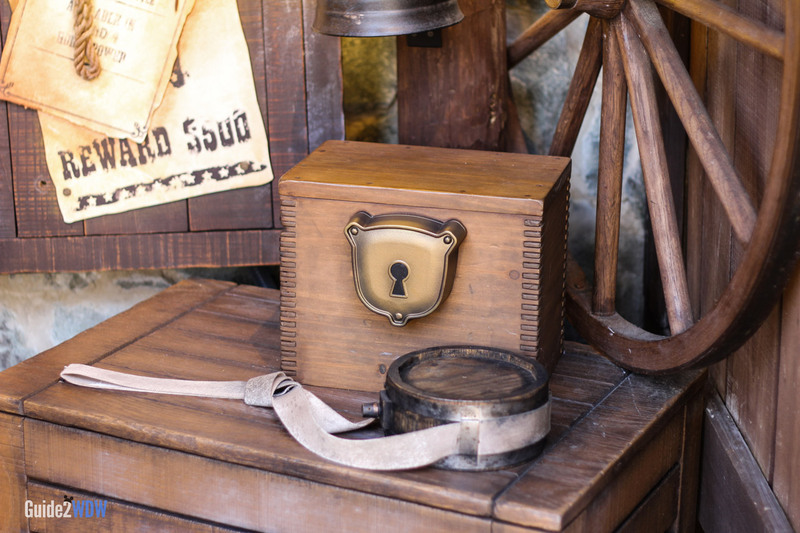 Simply press your keycard or Magic Band to play. The animation is fantastic, and all custom made for this attraction. Face off against Disney’s mightiest villains!